Our 4R70W torque converter is designed to work with all AODE/4R70W transmissions that are in Ford, Mercury, and Lincoln vehicles. With a stall range from 3200 to 3500 our 4R70W Torque Converters are perfect for the street and the strip. Contact us to match up the perfect stall for your vehicle and we will ship your new torque converter right out. This is a 10″ High Stall Heavy Duty Torque Converter for Ford AODE 4R70W transmission. This converter has dual bolt pattern to fit all AODE, 4R70W applications including the smaller bolt pattern Mark VII , Mustang and Police Package Crown Vics. This converter fits all AODE, 4R70W applications. Perfect for street and strip performance vehicles with a stall range of 3200-3500. 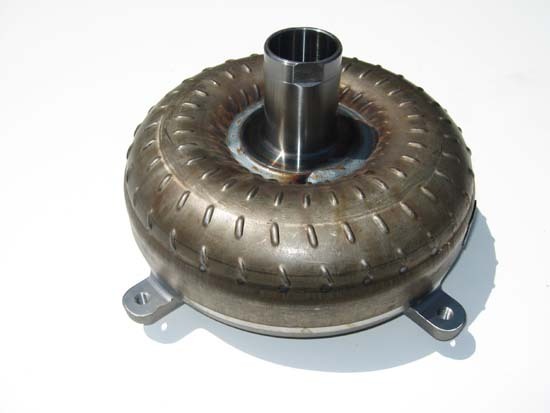 This 10″ AODE torque converter is specifically designed to be used with Ford’s 4R70W Transmission. The 4R70W transmission can be found on a wide variety of Ford cars and trucks from 1993 until about 2004. 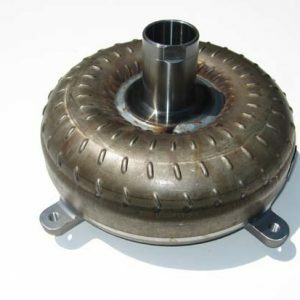 If the vehicle you have bought either has a factory 4R70W transmission or one has been installed our 10″ AODE torque converter is a reliable, high performance replacement option. The 4R70W is a transmission that was used by Ford in their cars and trucks and is a slightly revised version of the AODE. The 4R70W was first released on the 1993 Lincoln Mark VIII. When compared to its predecessor the 4R70W has lower 1st and 2nd gears. This difference means it has better acceleration from a dead stop and has better durability. This combination of powertrain parts was aimed at the V8 motors that are common in the company’s Trucks, Cars, and SUVs. For vehicles that feature the 5.4 V8 or larger a stronger gearset was used than in the standard 4R70W. The intermediate one-way roller clutch was replaced in 1998 to increase durabilty by using a mechanical diode. This upgrade provided extra holding capacity and longer lifespan.